Phenomenal boarding and skiing without the price tag of Vail and Beaver Creek. Stay and ski in three different base areas. You will love it here. Everybody does. Lift ticket prices and information for Copper Mountain. Where to stay at the Copper Mountain ski resort. Photos and info about the Copper Mountain terrain parks. Where to rent skis and snowboards near Copper Mountain. Find elevation, ski lift, ski trail, snowfall data, and more info about Copper Mountain on this page…. Copper Mountain Snowcat Skiing – Copper Mountain has a free snowcat that gives skiers and riders access to Tucker Mountain. Kids Ski Programs – Everything from Ski Schools and daycares to just fun stuff for the kids. Bowl Skiing – See photos of Copper Bowl, Resolution Bowl, Spaulding, & Union and read how to get to them, if your dare. Woodward Sports Barn – Just an amazing indoor ski facility. Great if the weather or snow is bad and just all around awesome. How is Telemark Lodge? – Telemark is good for some ocassions, but maybe not great for others. This ski lodge provides luxury condominium accommodations within a few steps of the ski mountain. There is a large outdoor hot tub here as well as two heated pools that are open year-round. Check out the property details by clicking on the link below. 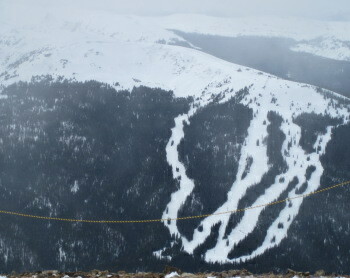 The Copper One lodge is located right at the base of Copper Mountain. Skiers and snowboarders can walk directly from the slopes into this lodge. This is also home to one of the most popular apres ski spots in the Center Village at Copper.